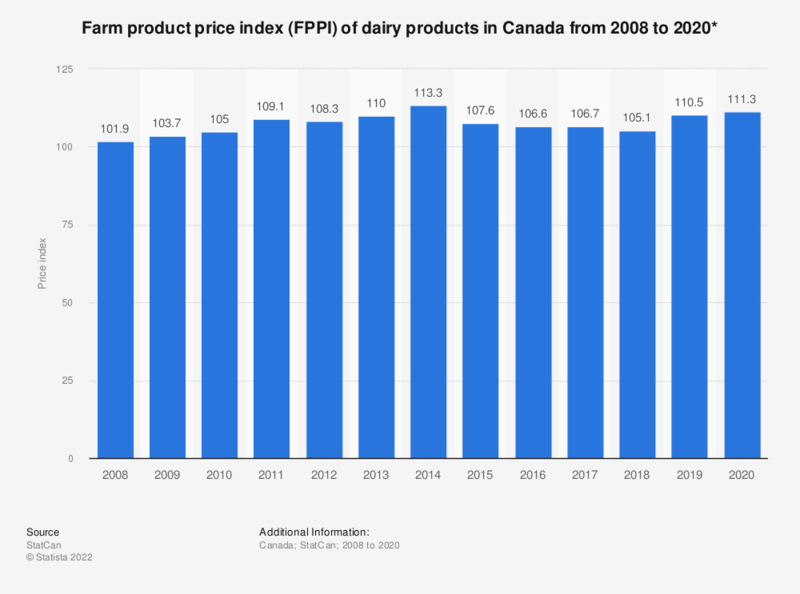 This statistic shows the farm product price index (FPPI) of dairy products in Canada from 2008 to 2017. In 2017, the farm product price index of dairy products in Canada was 106.7, an increase from 106.6 the previous year. The Farm Product Price Index measures the prices received by farmers for the sale of agricultural products.